The year is now well underway, the 2012 catalog rolling in fast... here's another newbie from the greatest comics publisher in the universe (my words), Drawn & Quarterly: introducing Tom Gauld's Goliath! 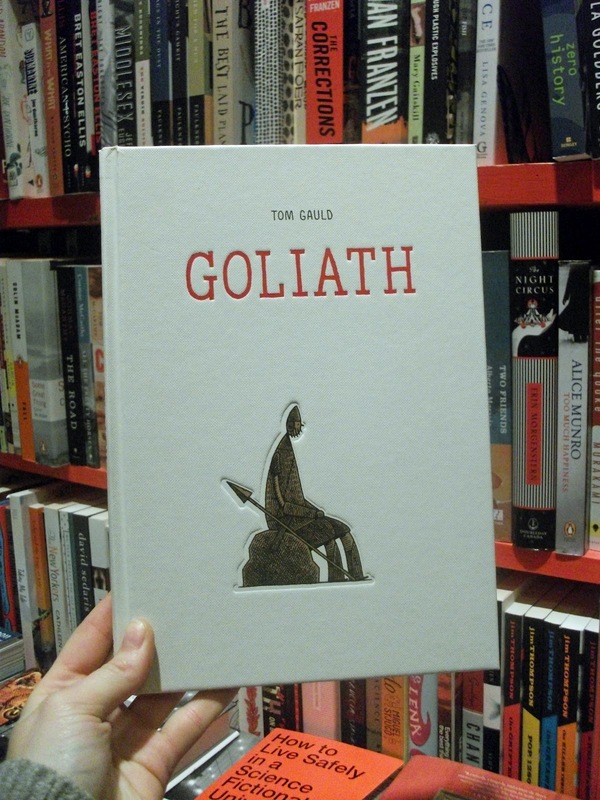 It's almost closing time and D&Q creative director Tom Devlin is teaching his Graphic Novel course in the store right now. 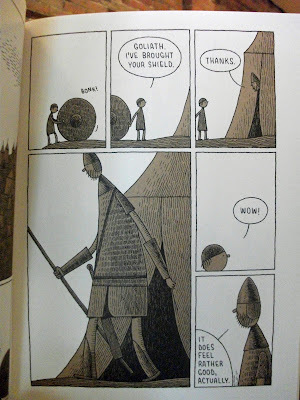 With his lecturing about Michel Rabagliati's successes right next to my computer, I'm having trouble formulating my own words so I'm going to leave you simply with the book's synopsis and a recommendation to check out Tom Gauld's excellent website and blog. Happy Valentine's Day everyone!